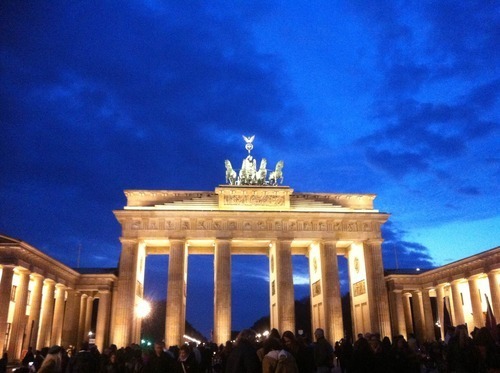 This week is my three year anniversary of moving to Berlin (my three-year-Berliniversary, if you will.) Here are a few things I've learned along the way – about myself, about moving abroad, and about Berlin. Moving abroad is hard. That romanticised idea of moving to a new country, immediately surrounded by interesting people, with a social calendar brimming with exciting new possibilities, expanding your horizons and learning new things is a world away from the reality. The vulnerability of being completely and utterly alone in a country where you don't speak the language, and have never been before; the unfamiliar idiosyncrasies of a culture you know nothing about; not knowing where to go for even the very basics. I remember getting to the supermarket when I first got here, and wanting to buy some double cream (I was planning on baking a cake for my new office – a superficial but effective way of getting them to talk to me.) I was faced with a whole array of similar looking substances – Schmand, Sahne, Sahne zum Kochen, Saure Sahne, Schlagsahne... I didn't have a dictionary with me, and ended up purchasing the whole range, to the amusement of the cashier, only to discover that not one of them was actually what I was looking for. Silly, but it was oddly disempowering to realise that I couldn't even go to the supermarket without assistance. Having to make friends from scratch was also difficult – similar to starting at a new school, only you're the only new one, and there's no teacher to introduce you, or defined space in which you'll meet those people. Instead, the whole city is your school playground, and you have to create your own potential-friend-meeting opportunities, while working, and settling in, and getting used to the new environment. For me, a couple of people played a key role in my settling in – friends who invited me to things, and didn't mind me tagging along, asking silly questions, and generally being my 'go-to' for advice, and weekend activities. I'm certain I wouldn't have stayed in Berlin for as long as I have if it weren't for their kindness. I'm so glad I learned (and am still learning) German. 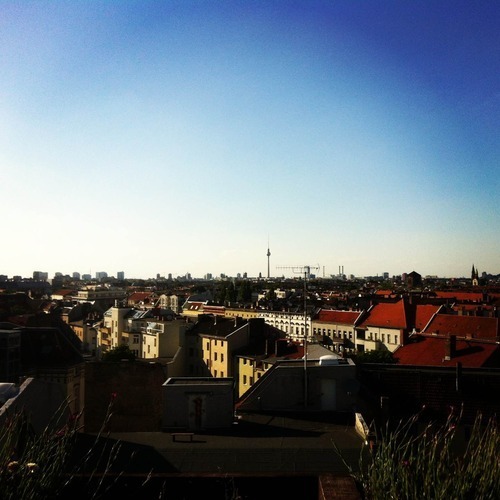 Yes, it's entirely possible to live in Berlin while knowing only the very basics, there's no denying that – but it makes a world of difference to be able to converse with people and to understand the culture. On a practical level, I found it so embarrassing to be sitting with a group of German people and have to ask them to all speak a foreign language, just for me, while we were sitting in Germany. And, I've found at least, people are much friendlier knowing that you've put effort in to learn the language, even if you (like me) make silly mistakes on a regular basis. There's no better ice-breaker than a ridiculous misuse or misunderstanding of a basic sentence or phrase. As a friend put it – just accept that you're going to get (at least) the grammar wrong, and speak. I like being put out of my comfort zone. It's true that Germany's not so different to other countries I've lived in – the UK, France, Spain – but it's different enough for me to feel not quite at ease in many situations. I realised last year that this is something that I actually relish; it makes me pay more attention to what's going on and notice things I might otherwise have let slip by me. It's almost like a set of mini challenges that crop up again and again, always slightly different, a little confusing, and satisfying once they're dealt with. I also notice things here that wouldn't happen in other places. The reverence for people with academic qualifications, the unwillingness to show any sort of national pride except for during international football tournaments, the cliched but accurate directness and consequently thick skin, the relaxed and unhurried attitude towards studying here in Berlin, the idea of renting apartments for years on end rather than buying... it goes on and on, and I find it fascinating. It's made me notice the opposite, too – things that are very particular to the British. The 'pleases' and 'thank-yous', the long winded way of getting to what you actually want to say, the idea of wearing uniforms in school, the sport netball, the drink Ribena (or any sort of fruit cordial), the strange tradition of Guy Fawkes night, of Pancake Day, accepting other cultures' culinary traditions as our own, of finishing university and settling down and buying a house as if it's all a race... and so on, and so on. Berlin has so many possibilities, it can be overwhelming. It's cheap, and fun, and you can probably find any meet up, class, or community that you want to. But sometimes, so much choice is almost too much choice – it can be difficult to know where to start, and how to stick to things. In the time I've been here, I've taken a swing dancing course, joined (and left) a folksy band, joined a yoga class, taken a meditation class, started Arabic classes, attended coding workshops, danced in a music video, learned to rollerblade, joined discussion groups, started learning the djembe... and more. It's a complete luxury problem, but there's so much to find and to do here that actually sticking to something can be harder than it sounds. This somewhat hedonistic attitude can be seen in the way people organise their time, too. Nothing planned too much in advance, leaving flexibility in case something better comes up, with a lack of punctuality I never would've expected in Germany. Berlin's nowhere near as multicultural as you think, or as (white) people here will describe it. From everyday micro-aggressions to the implicit understanding among many German people that even third generation Turkish immigrants who've grown up their whole lives here shouldn't be able to consider themselves as 'German', as well as the very select groups of immigrants and cultures that Berlin contains – it's not a patch on London's rich cultural setting, and I haven't stopped correcting people lauding 'multi-kulti Berlin' since I arrived. I don't miss the UK, but I miss the people. There's nothing particularly about the UK that I ever get cravings for, but it's hard sometimes being far away from friends and family. Messaging apps like Whatsapp and Skype make this so, so much easier – I sometimes wonder if I would've stayed as long if it weren't for them. It's also a strange feeling going back to the UK and not understanding jokes, or references to TV programmes I've never seen, and getting a kind of reverse culture shock. The UK and Germany aren't so different, but in some respects my lifestyle here in Berlin is a far cry from that of my friends in London. Sometimes, not making a decision is the decision in itself. I always imagined there would be a point at which I'd decide to really stay in Berlin, or at which I'd go back to England. I came here originally for 6 weeks, with a suitcase of summer clothes and a house to go back to in London, without any big goodbye to the UK or my friends and family there. A job came up, and I decided to stay for a year, and defer my masters. Then, another year, and I found a nicer apartment to feel more at home. Now, it's three years, and that 'decision point' simply hasn't happened... and somehow, I'm settled and happy and it's hard to think where else I'd be able to have the same quality of life for the same price. All that said, three years after my non-decision to move here, it's incredibly satisfying to think that I've gotten through the settling-in pains, and made my own way here. Of course, there are cities where it's far more difficult to settle into, and actually I'd say that Berlin is one of the easiest cities to live in that I've visited. To friends who've moved from their homes, to university, to a city with lots of their friends in, I've not stopped recommending that they get out of that comfortable bubble, and experience a new country – if only for a few months, just to expand their horizons, see how they cope with it themselves, and experience something new. I wouldn't take back a second of my time here, despite the ups and downs!